In my home of New Mexico, we have had a lot of winds blowing… really blowing! I have talked too much about this with friends and on social sites and I have realized how powerfully we experience what we focus upon and obsess over! I read a friend’s comment about how she rides her horse in all types of weather so that when they get to a competition (where she has spent a lot of money to participate), he won’t be put off guard by wind or rain or snow or what have you. She is wise. Challenges strengthen us. I have had to face days of cancelled lessons – therefore no income – and had to make myself see the big picture of lessons to come. To know that there will be more cash flow is an act of faith in the horse business; Faith in the foundation one has built that cannot be broken apart by some bad weather days and students going on holiday; Faith in the hard work that has pressed one forward to a family of horses and humans working together. Trust that the people who also love these Sanctuary horses are aware of what it takes to support them and therefor always help when needed! There are business people who believe we should not speak of our hardships or concerns – we should keep our clients bathed in the glorious light of our perfection… personally, I am much more inclined to trust someone with some humility than a person who always tells everyone how wonderful she/he is! I believe we are all wonderful. 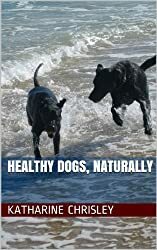 Animals and people – we are all doing the best we can and all come from our “wells of experiences” to act and react in what are totally appropriate ways, considering what we experience. Want to change something in your own life or your horse’s / dog’s life; something about how you react in situations? Then change those experiences entering the “Well” – like drops of water in the well, each experience gathers and determines what is expected in a new situation. If most of the experiences are negative, you will expect something negative in each new situation. Same thing if they are positives! I am facing this spring with a new attitude. I am looking for every positive thing to reinforce in my experiences. I can train myself to be happy, unconcerned and strong just as my friend trains her horse to be dependable in every type of weather. She and her horse face these things together. I can face my life with my body, mind and spirit. Even when we feel alone, we never really are. We have our animals and each other and each day that comes to appreciate this fact. We can cherish what is, revel in what was and dream what will be. And, when we least expect it, miracles occur! Spring forward! Into life and spring forward with your dreams. Mine are simple because I like simple. I will “train” myself to expect the positives. A “Win – Win” situation… I hear that often. It is a truly profound statement when it is used. Most times our society is equating winning with being higher, better, stronger, smarter than others who must, therefor, lose. And it is dramatic when a rider is told to “show him who’s boss”; “you must win the battle with your horse”; etc. Battle? If a battle ensues within a relationship with a horse, the human is 99% of the time the instigator. A battle can demoralize one of the parties and it invariably ends up being the horse. So, this “Win – Win” situation sounds like the best way to approach relationships and dialog with horses… heck, with all beings! I have personally found my way there through decades of experience and relationships with Appaloosas. Oh, I have owned and schooled Arabians, Thoroughbreds, Warmbloods, Mules, Quarter Horses… you name it! But the time I have spent with Appaloosas has honed my skills as a proponent of “The Middle Way” and brought me to a place of thoughtful consideration of the other party in each relationship. Appaloosas have an acute sense of what is fair and the ability to know if you are honest and mean what you “say”. They will hold you to task. And I appreciate that. If we seek that “Middle Way” of partnership with our horses (and family and coworkers and neighbors, etc. ), with respect for the other’s feelings – knowing that there are always reasons for how we all respond to life – we will All Be Winners. No One has to lose! I once was told that my ideas were too “simplistic”; that the way I lived was “idealistic”. How COOL! I will gladly fly the SIMPLE flag and hold myself to the idealistic standards of compassion and trust. If we all just cave in to the idea that struggle, brutality and force are the normal aspects of life and relationships… well, what sort of life and relationships will we experience? Time spent with horses is always time well spent. 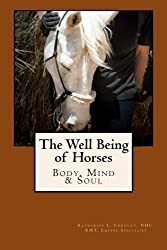 I remember my own childhood with horses and even when things went “wrong” for me and I was frustrated or angry – the horses taught me how totally nonproductive that was! As I work with new and young students in Horsemanship, I see how it takes them a while after first arriving, to settle and connect deeply not only with the horses, but with their own feelings and needs. There is a great deal more to our Horsemanship than just riding. Being in the presence of horses helps us see our own issues in a new light. 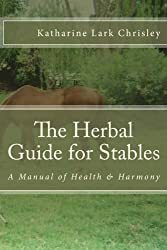 We can process problems while cleaning hooves and the horse will tell us if we are congruent or not – if he feels safe lifting a hoof for us; if he feels that we are clear and assertive; if he feels that we care or just do not! Our relationship with a horse is like a dance. It is based upon communication and mutual concern for the other. “Love is the active promotion of the well being of the love object” (E. Fromm) When we learn how to love a horse, we learn how to love. When we learn how to communicate with a horse, we are more clear in our communications with other people. 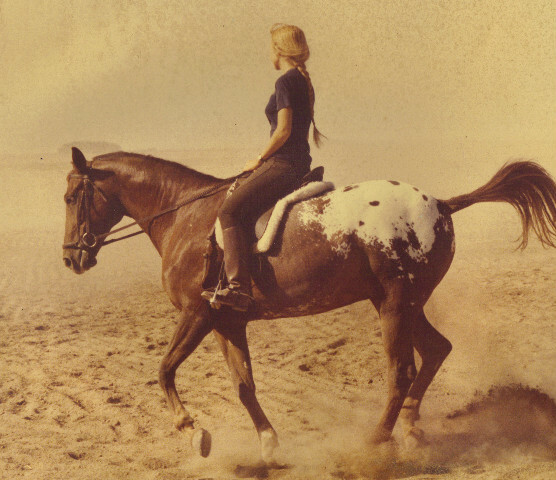 In radio, you have transmitters and receivers and transceivers – horsewomen have to become “transceivers” to effectively connect with a horse. Riding and teaching lessons yesterday and turning horses out today, I have been thinking about how we communicate our desires and directions to horses through the reins, lead, line, etc. We must become light, consistent, clear and immediate with our language of the aids through these lines… we will really miss out, though, if we neglect to “hear the horses” through these same lines of communication. When I am leading a horse to the field, I don’t just pull him along like a red wagon, nor leave him floating in the breeze like a bobbing balloon at the end of a string. No. I keep a light feel of the lead rope and listen to every signal and pre-signal he communicates to me as we walk down the lane. This is why I prefer all cotton, long lead ropes with trigger snaps – they just feel right in my hands. When riding, I stretch my outside rein, feeling what the horse is saying to me. I keep an elastic, massaging inside rein (barely perceptible, the nuance of a tiny vibration…), allowing the horse to ask me questions and tell me how he feels about his balance and his pace. On the longe, I’m not sending the horse out on a circle like a model airplane to zoom about and possibly crash – I am “riding” with my body language and listening through that longe line to every signal conveyed by my equine partner. It is more about a conversation than it is about a performance, and, if we think and act this way, our horses sigh a sigh of relief about finally being heard.